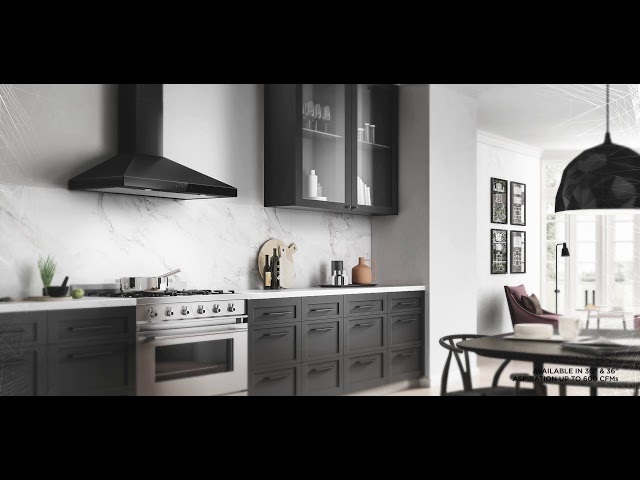 The clean lines and beautifully sloping angles of Varna Black are an Italian classic that will compliment any kitchen. Elica´s new black stainless provides a uniquely rich appearance and naturally hides finger prints. VARNA BLACK has LED dimmable lighting, stainless steel micrhole filters and glass touch controls that are hidden when the hood is off. It´s also equipped with HUSH Sound Supression that reduces sound up to 35% allowing you to comfortably cook and entertain at the same time. VARNA BLACK can also be installed as a recirculating system using the available Recirculating Kit.